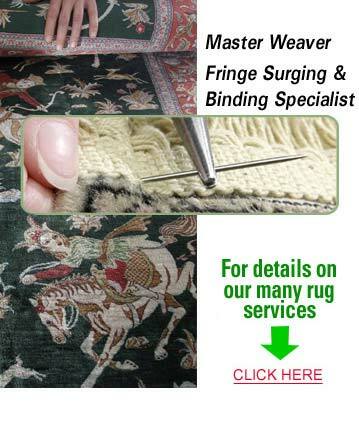 Rockwall rug weaving by KIWI Services offers rug repair by trained Rockwall Oriental rug weavers. We will have your Oriental rugs completely restored and looking great! Rug weaving is a long-standing tradition in many parts of the world. There are many, many different types of oriental rugs and weaves – over 64,000! The hand weaving, the hand dyeing of the fibers – these are intricate and highly specialized traditions! Does your oriental rug have holes or tears? Does it have damaged, torn or stained fringe? Our team of Rockwall rug repair experts can handle all of these problems. You can’t just call any home service company and find Oriental rug weavers. But KIWI Services’ rug weaving experts can identify the types of fibers used in your rug (whether wool, silk or other types of fibers) and can repair the damage, making your rug look whole and beautiful again! Rockwall rug weaving by KIWI Services; call us for rug weaving and repairing services in Rockwall, Texas.